Fall has arrived, and with it comes the opportunity to leave the heat of summer behind and enjoy cool, crisp weather while getting in touch with the outdoors. Make a difference by restoring parkland. 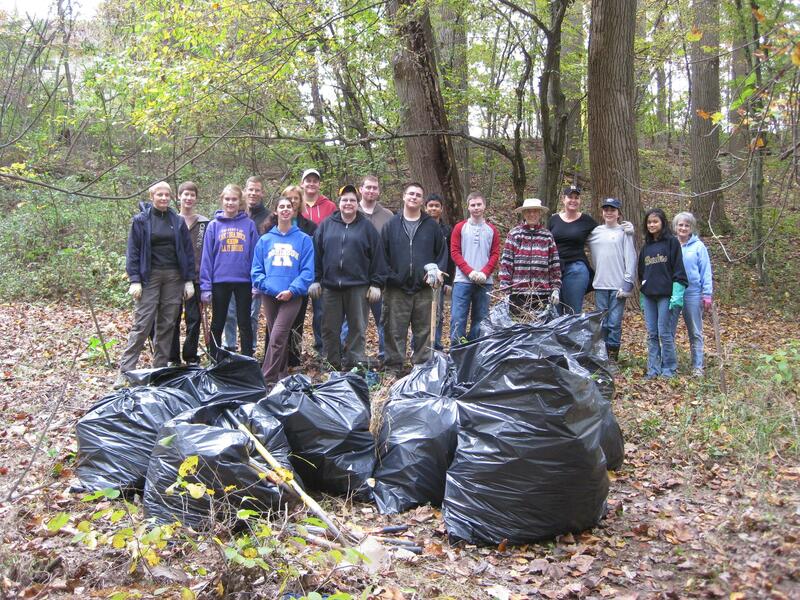 What better way to do that than to volunteer with Fairfax County Park Authority’s Invasive Management Area (IMA) program? October 27 is National Make a Difference Day, which encourages people all over the country to volunteer their time making a difference in their communities. This year, 14 IMA sites will host events, so there are plenty of opportunities for Fairfax County residents to get out and enjoy the fall foliage. Volunteers will learn about native and non-native plants and how each impacts habitat for local birds and wildlife. Gloves and tools will be provided to volunteers who help remove non-native invasive plants that take over parkland and degrade habitat. Dress in layers for the weather and bring a bottle of water. You may work up a sweat and be able to skip the gym for the day. 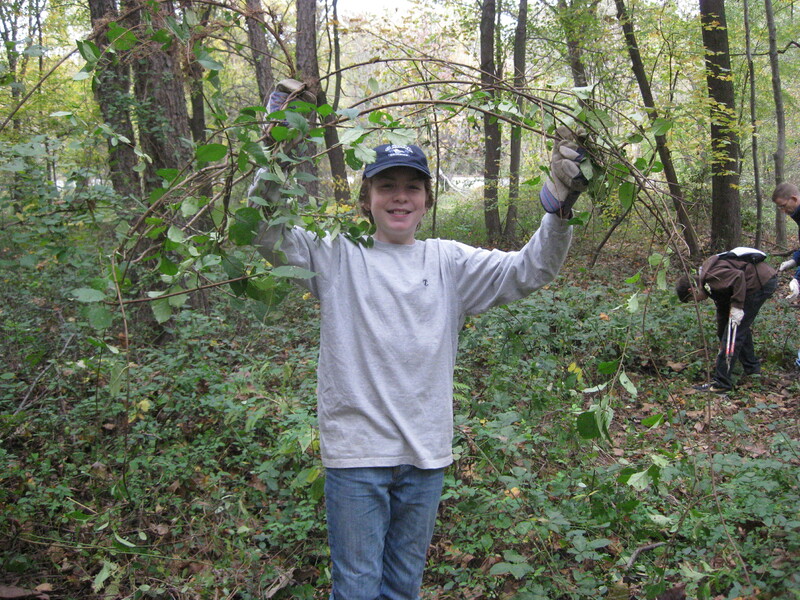 During VolunteerFest 2011, 253 volunteers removed 115 bags of invasive plants. Last year, 11 sites participated in National Make a Difference Day, and 253 volunteers removed 115 bags of invasive plants. Participants left knowing that they had made a difference in their community and that local habitat was improved. Some volunteers even claimed they heard birds and wildlife thanking them as they left. It was great to see so many families enjoy the outdoors and each other at National Make a Difference Day in 2011. Everybody had a great time and even engaged in some friendly competition to see who could remove the most invasive plants. So, if you are looking for a way to enjoy fall in Fairfax County, consider spending National Make a Difference Day, October 27, with the IMA program. For more information and to view the full IMA calendar of events, visit the IMA webpage. This entry was posted in Uncategorized and tagged IMA, Invasive Management Area, National Make A Difference Day, VolunteerFest on October 9, 2012 by Fairfax County Park Authority.